"Pokémon Go" has become the hottest iPhone and Android game to hit the market in forever with enormous popularity and massive social impact. The app has taken the world by storm since its launch this week. Nintendo’s new location-based augmented reality game allows players to catch Pokémon in the real life using their device’s camera and is currently only officially available in the United States, New Zealand, UK and Australia. On an average, users are spending twice the amount of time engaged with the new Pokémon Go app than on apps like Snapchat. In fact Pokémon Go is experiencing massive server overload in just few days of launch. In order to download the APK, users are required to "side-load" the malicious app by modifying their Android core security settings, allowing their device’s OS to install apps from "untrusted sources." Security researchers have warned users that many of these online tutorials are linked to malicious versions of the Pokémon Go app that install a backdoor on Android phones, enabling hackers to compromise a user’s device completely. Just less than 3 days after Nintendo initially released the game in Australia and New Zealand on July 4, the malicious app was uploaded to an online malware detection repository. Since Android core security settings normally prevent the installation of untrusted third-party apps from "unknown sources," side-loading should have never been done by a user. "This is an extremely risky practice and can easily lead users to install malicious apps on their own mobile devices," researchers at Proofpoint wrote in a blog post. "Should an individual download an APK [Android application package] from a third-party that has been infected with a backdoor, like the one we discovered, their device would then be compromised." 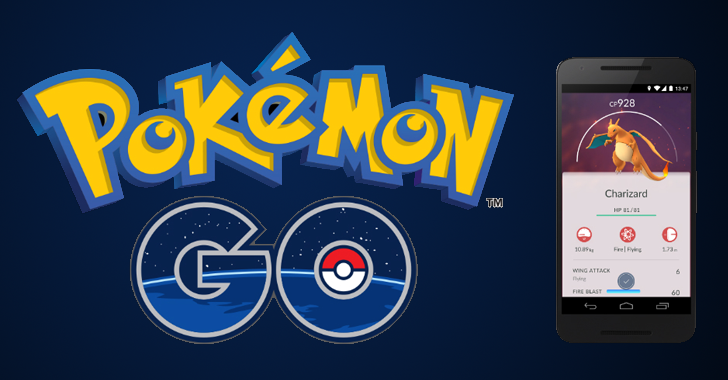 Fortunately, there are several ways to check if you have downloaded the malicious version of the Pokémon Go app. The infected version of the Pokémon Go app would have been granted more system permissions, so one way to differ between the two is to compare the permissions of your app to those of the legitimate one. To do so, Go to the Settings → Apps → Pokemon GO and check the game’s permissions. If you find that the game has asked for permissions like directly call phone numbers, edit and read your SMSes, record audio, read Web history, modify and read your contacts, read and write call logs, and change network connectivity, then you should uninstall the game right away, since it is infected with DroidJack. You can also compare the game’s SHA-1 hash – a long string of characters used to verify if a file was infected with or modified by a malicious third-party – to make sure the game matches the hash of the legitimate version. However, downloading apps from third parties do not always end up with malware or viruses, but it certainly ups the risk. So, it’s the best way to wait in order to avoid compromising your device and the networks it accesses.